Sunderland face Middlesbrough in a mouth-watering Wear-Tees derby at the Stadium of Light on Sunday. 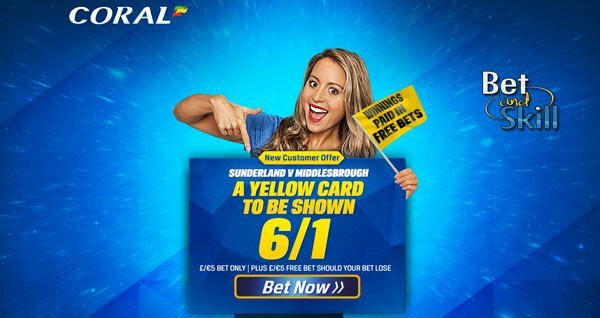 This article contains our Sunderland v Middlesbrough betting preview with free predictions, betting tips, starting line-ups, team news, highest odds, bookie promotions and no deposit free bets on the Premier League! Sunderland came within minutes of a credible draw with Man City on Saturday only to be let down by a late Paddy McNair own goal that saw them fall to a 2-1 loss. Money has been spent this summer though, with Papy Djilobodji, McNair, Donald Love and Adnan Januzaj (loan) all arrivin and the club is expected to bring in more new players before the end of the transfer window. David Moyes still has a few injury concerns, with Billy Jones and midfielders Lee Cattermole and Jan Kirchhoff still out. The likes of Adnan Januzaj, Wahbi Kazri and Paddy McNair may all start from the off after coming off the bench last weekend. Jack Rodwell and John O’Shea could keep their starting berths at the base of midfield in a 4-2-3-1 formation. 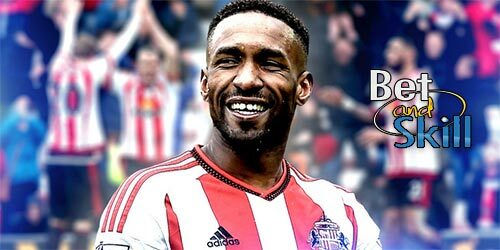 Fabio Borini may again start in a support striker role behind front man Jermain Defoe. Middlesbrough were held to a 1-1 draw with Stoke in their first game back in the Premier League when a late Xherdan Shaqiri’s powerful free-kick pulled Stoke City level after striker Alvaro Negredo got on the scoresheet in his debut with Boro. With Newcastle no longer in the top flight this match against the Black Cats is the fans game of the season and the first in the league since 2009. Aitor Karanka is unlikely to make wholesale changes. Marten de Roon sustained a hamstring problem last time out and is sidelined for the next month, and will be replaced by Adam Forshaw. Albert Adomah, Gaston Ramirez and Stewart Downing may again form the attacking midfield trio behind lone striker Alvaro Negredo. Bernardo Espinosa and Grant Leadbitter will both be missing until September, whilst Daniel Ayala is set to miss one more fixture as well. "Sunderland v Middlesbrough predictions, betting tips, lineups and free bets (Premier League - 21.8.2016)"